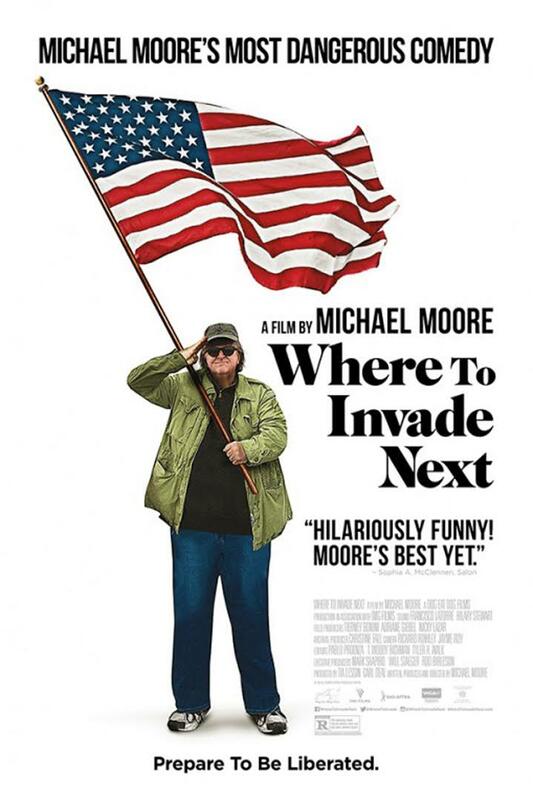 Movie Night - New Michael Moore Movie "Where to Invade Next"
Join UAPA for a viewing of Michael Moore's newest film at the Gateway Film Center on Sunday, February 14, 2016. Check in, get snacks and mingle beginning at 2:00 pm; the movie will begin promptly at 2:40 pm until 4:40 pm. The tickets will be $10.00. You can pay for them on our site with PayPal, a credit card or reserve your seat and then pay by check or credit card at the Gateway Film Center on the 14th. Reserve your seat and pay here.